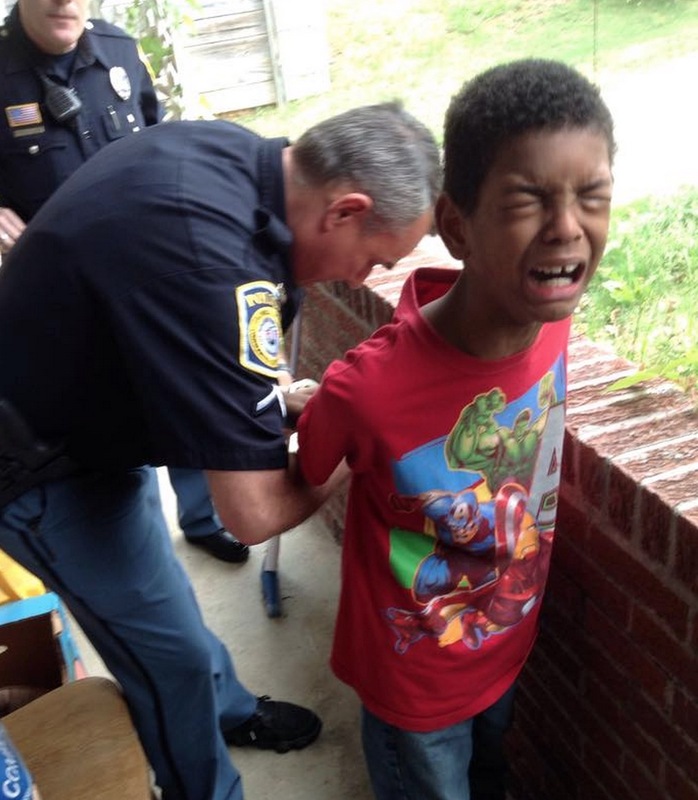 COLUMBUS, Ga. (May 4, 2015) — A Georgia mother had police “mock arrest” her misbehaving 10-year-old son to “give him a scare” because he was being disrespectful to his teacher. Chiquita Hill told WRBL she called police on her son, Sean, because he was being rude to his teacher and refusing to do his work over the past few weeks. “I was sitting there trying to decide how I am I going to discipline Sean… because previously disciplinary actions didn’t work, obviously, so I made it up in my head I’m just going to call the police,” she told WRBL.